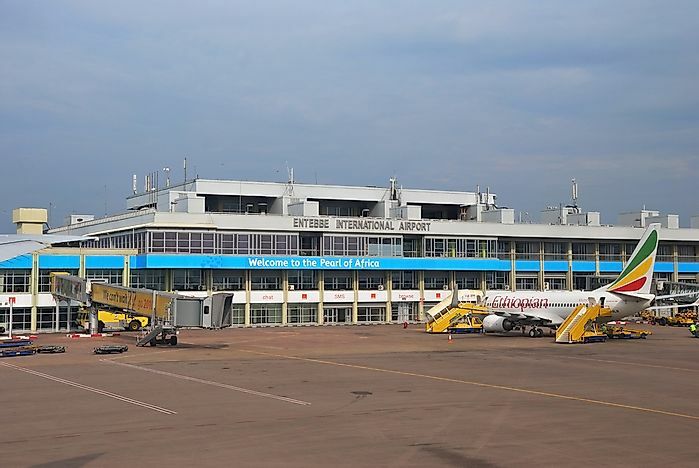 Also called The Entebbe Raid or Operation Entebbe, Operation Thunderbolt was the successful hostage rescue operation by the Israeli Defense Forces at Entebbe Airport in Uganda on the night of July 4, 1976. Operation Thunderbolt, also called The Entebbe Raid or Operation Entebbe, was a successful Israeli Defense Forces hostage rescue operation at Entebbe Airport in Uganda on the night of July 4, 1976. This rescue was after Wadie Haddad allied terrorists hijacked an Air France plane with 248 passengers, mostly Israelis, and commandeered the plane to Uganda where former Ugandan President Idi Amin hosted them while pretending to act on the best interest of the hostages. The planning, execution, and success of the operation make it one of the most daring in history. Air France Flight 139 took off from Tel Aviv on June 27, 1976, with 246 passengers and 12 crew members and flew to Athens where it dropped off some of the passengers and took on 58 more, among them the hijackers, before departing for Paris. Immediately after takeoff, two Palestinian terrorists from the Popular Front for the Liberation of Palestine – External Operations (PFLP-EO) and two Germans (Wilfried Böse and Brigitte Kuhlmann) belonging to German Revolutionary Cells took control. They re-routed the flight to Benghazi where they released Patricia Martell, a British-born Israeli citizen who pretended to be having a miscarriage. They were in Benghazi for several hours and refueled while discussing with Uganda to host them to which the country agreed. In Entebbe, four other terrorists together with Idi Amin’s forces joined them and they kept all hostages in a transit hall where Amin visited them daily with false promises of negotiating their release. In exchange, PFLP-EO wanted the release of 53 Pro-Palestine militants and $5 million in ransom by July 1, otherwise, they would execute all hostages. By June 29 and with the help of Ugandan soldiers, the hijackers separated the hostages into two, Israelis and non-Israelis. The following day, they freed 48 non-Israeli hostages, followed by another 100 on June 30 after Israel agreed to negotiate, leaving 106 hostages including the crew. Israel’s official appeared to be negotiating while planning for diplomatic solutions and military operation, whichever came first. Diplomatic options included negotiating with Amin, the US, and Egypt. These negotiations led to the hijackers extending the deadline to July 4, a date which Amin also agreed because he was to attend an OAU meeting and come back that night. Amin’s absence and expected arrival date gave the operation a success. Other helpful factors included the fact that an Israeli firm constructed parts of the airport and still had the blueprints and, a few years back, IDF had trained some Ugandan soldiers. Also, the released hostages provided information about the hijackers, the weapons, and the terminal. IDF rejected plans to drop its commandos in Lake Victoria near the airport after information that the lake had crocodiles and the fact that Amin would not have allowed them out of Uganda. The other option was transporting troops to Uganda and back with space for hostages, but this too would need low flying to avoid enemy radar detection and refueling in Kenya. However, Kenya feared Amin’s retaliation and it took the efforts of Bruce MacKenzie, then Kenyan Minister of Agriculture to allow refueling at Jomo Kenyatta International Airport. On July 3, Israel carried vehicles similar to Amin’s motorcade complete with Ugandan flags together with troops in four C-130 Hercules transport aircrafts and flew along strategic routes to Entebbe avoiding any radar. There were also two Boeing 707 jets, one carrying medical facilities that landed in Nairobi and the other circled Entebbe Airport during the raid. Due to the airport’s poor lighting, one IDF plane landed without incident and only shot at two guards using silenced pistols following a misinterpretation of Ugandan military practice of pointing a gun at oncoming vehicles. The soldier did not die, leading to the use of a loud rifle that ruined the element of surprise. IDF’s organized troops positioned themselves and exchanged fire with Ugandan forces as a team rushed to the terminal and ordered hostages to remain lying down in Hebrew and English. As the rescue continued, the other three Hercules planes landed with reinforcements in an operation that took 53 minutes. IDF mistakenly killed nineteen-year-old French immigrant, Jean-Jacques Maimoni, who stood up during the rescue after mistaking him to be part of the terrorists. In addition, 52-year-old Pasco Cohen suffered gunfire wounds. Two more hostages died in the process. Approximately 55 Ugandan soldiers and all the hijackers died in the raid. Israeli unit commander Yonatan Netanyahu (brother to Benjamin Netanyahu) died outside the terminal and five commandoes sustained injuries. IDF left behind 74-year-old Dora Bloch, who was taken to the hospital in Kampala earlier. Amin later ordered her execution. Before departure, IDF destroyed several Ugandan planes including MiG-17 and MiG-21 to avoid pursuit. The troops flew the 102-rescued hostages to Israel via Nairobi. Amin executed hundreds of Kenyans in Uganda in retaliation for assisting Israel and assassinated MacKenzie. As many nations praised the raid, Uganda called it “an act of aggression” and planned military action against Kenya but the US responded by deploying the super carrier USS Ranger (CV-61) along the Indian ocean. In 1980, pro-Palestinian militants bombed the Jewish owned Norfolk hotel in Nairobi as a retaliation. Israel sometimes retroactively refers to the operation as Operation Jonathan in memory of Yonatan Netanyahu, the unit leader.